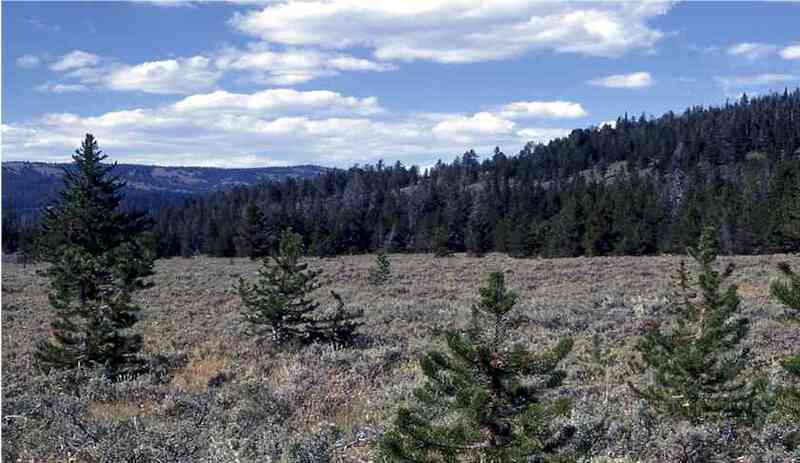 Encroachment of native coniferous trees into Western rangelands reduces available area for grazing livestock and wildlife. Grazing Objective: Stocking rate should achieve removal of more than half of the terminal leaders and lateral branches of young pine trees. Growth Stage for Treatment: Browse saplings and juvenile trees during the winter months. Browse pine trees until desirable grasses and forbs have 2 to 3 inches of residual stubble and desirable shrubs have 60% utilization. Potential Effectiveness: A single season of browsing pine can reduce plant height and diameter growth. Browsing more than half the branches for two consecutive years can kill trees. Higher stocking rates (three to four sheep or goats per acre) will be needed in areas where pine density exceeds 300 trees per acre. Feeding with a high energy/protein supplement can increase the rate of pine browsing. Livestock should not be forced to browse continuously during the winter; a rest period of two to three weeks periodically during the season will provide the greatest overall control of pine encroachment. Olson, K.C., R.D. Wiedmeier, J.E. Bowns, and R.L. Hurst. 1999. Livestock response to multispecies and deferred-rotation grazing on forested rangeland. Journal of Range Management. 52:462-470. McLean, A. and M.B. Clark. 1980. Grass, trees, and cattle on clearcut-logged areas. Journal of Range Management 33:213-217. DelCurto, T., M. Porath, C.T. Parsons, and J.A. Morrison. 2005. Management strategies for sustainable beef cattle grazing on forested rangelands in the Pacific Northwest. Rangeland Ecology and Management 58:119–127.